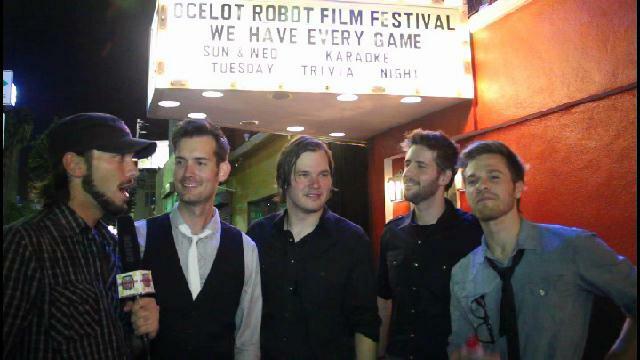 2012 Ocelot Robot Film Festival — 1st Place Music Video! Spy Rock” who flew out from NYC with his band for the event, brought down the house with a shirtless performance (guy looks like a Calvin Klein model) introducing his unique brand of “Spy Rock” which got everybody feelin’ all James Bond-ish, before James Bond started looking like Daniel Craig = A Grampa. Gator also won the Best Music Video Award for their video “My Love at MI6” which you gotta watch below. Best Short Film Award went to “I, Pet Goat, II” which you can check out by going here. An awesome time was had by all; ShockBox TV host Matt Prater got a ton of interviews that we’ll roll out ASAP!